So in a continuing effort to, well, cook, we're trying an option to our recalcitrant Butane stove. 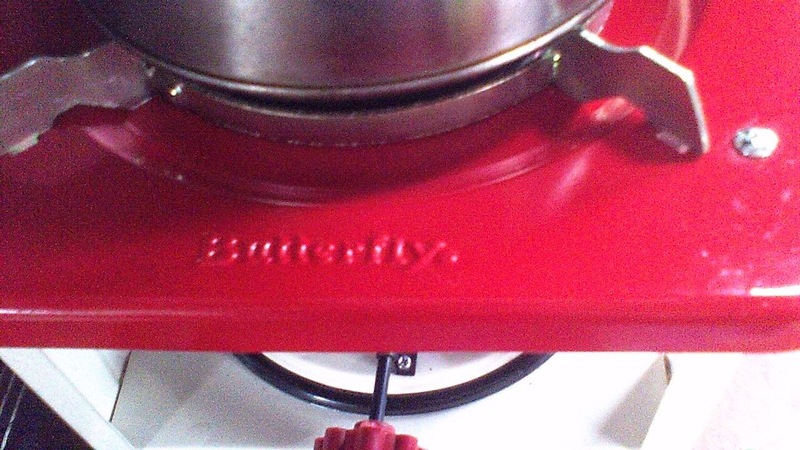 Based on reviews and recommendations, we purchased from St. Paul Mercantile a Butterfly Kerosene stove. Their customer service has been great, especially after our paypal order reverted for some reason to an obsolete address. 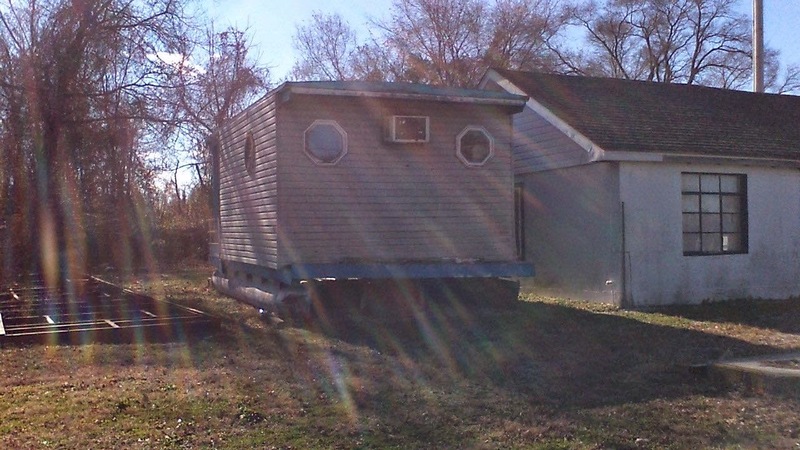 John dealt with our problems rapidly, and we were frankly impressed. The stove in question is a 16 wick unpressurized kerosene stove with a catalytic burner, cranking out a bit over 10,000 BTU on high. Following advice on the web, we gave all the metal parts a coat of auto polish before setting it up (caution, sheet metal edges can be SHARP). 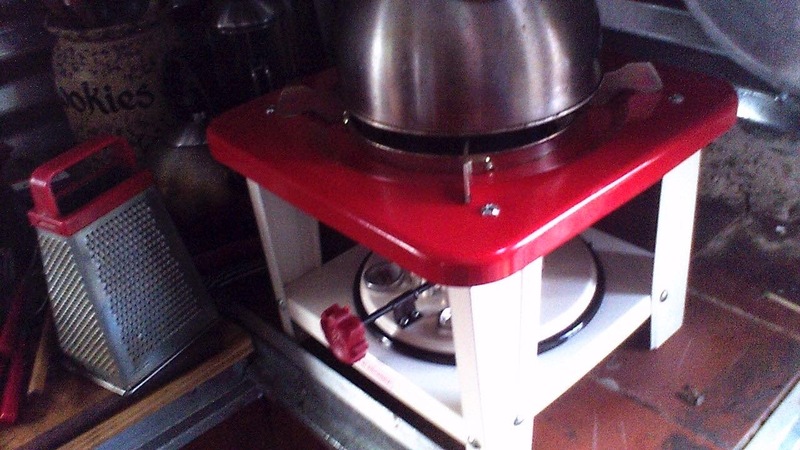 A couple of notes you should consider: This is a stove for long term cooking (varieties of this stove are used in restaurants in Asia and Africa). As the Kerosene well is an open pan with the wick assembly just sitting on top of it held by friction, if you tilt the stove, it will leak. If you overfill the stove, it will leak. 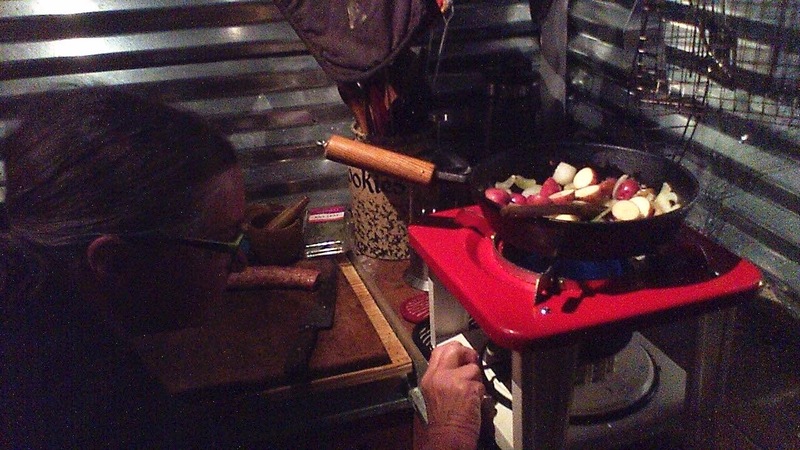 In order to transport the stove, the pan would have to be drained and the wicks wrung out. As a result, this is NOT a camping stove, unless you're setting up a base camp for fairly long term use. 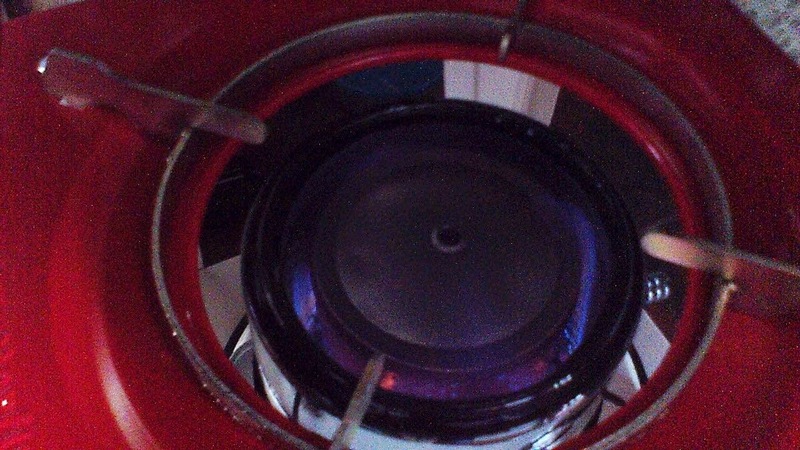 Wicking the stove is as simple as it is tedious. A piece of wire is provided for you to hook the midpoint of each of the ragmop wicks and pull it through the wick holder. We wound up using a pair of pliers to save our fingers pulling the wire hook. The whole process took about 15 min. Pull the wicks through, and then pull them back down with the stove set on high until they're all even with the ridges on either side of the burners. Lighting the stove takes a bit of practice. First of all, on filling, you want to give the wicks a couple of hours to saturate before lighting. This can be sped up by taking a straw or syringe and putting a few drops of Kerosene on each. Lighting is really quick, just wipe a lit match around the wicks and it's done. It can be a bit of a struggle to get the catalytic burner in place with the little floppy wire handle, but we rapidly got the hang of it (It should be noted that lots of folks apparently use bamboo skewers or fireplace matches to light the stove with the catalytic burner in place. We haven't tried that yet). After about three minutes, when the burner heats up, you'll have a murderously hot blue flame from the stove, utterly smokeless and odorless. It's wise to let the stove burn for about an hour or so outside so that oils and paint and things can burn off without smelling up your space. After wrestling with other stoves, cooking on this thing is a wonder. Once it comes up to temperature, it boils a full tea kettle in about 8 minutes, has plenty of heat for cooking, and can be turned down to a decent simmer. The broad stance of the stove and its huge pot rest means that even our largest cast iron Lodge dutch ovens will rest on it happily. After dealing with butane in cold weather and tossing away can after can after can, this has been a wonderful option. The stove isn't without it's downsides, of course. Aside from the potential to leak if tipped or overfilled, most of the paint on the catalytic burner has burned and flaked off over the first few weeks. The fuel gauge is mostly useful to warn you of overfilling. Aside from that, it's wildly inaccurate. The fill opening, being below the pot ring, can be a bit awkward to get to. The large burner opening is big enough to swallow a very small pan (we use a bit of cooking rack on top of it when using our smallest pans). 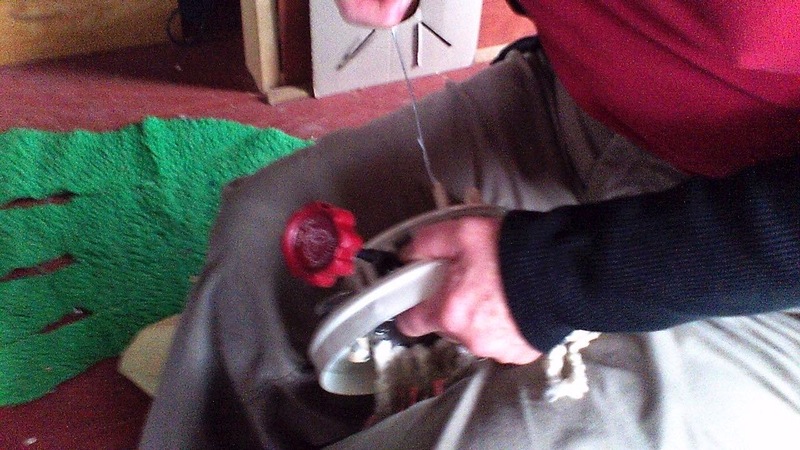 The blue flame, in addition, can be hard to see, so turning the thing up and down is a matter of practice. Still and all, the little Indonesian stove works beautifully and reliably, and at less than $70, it's a bargain. The company also makes an oven for use with the stove (which we may be picking up) which is pretty well reviewed. They also make double burner and pressurized versions. Since we already use Kerosene lanterns for both light and heating, the Butterfly 16 wick stove has been a great choice. We'd recommend it. Hey we came across this on a recent trip. I think they're WAY light on the floatation, but it does show some of the easy things one can do. Good on you guys whoever you are. It would be awesome to get a kerosene stove like that. We have a cabin up in the mountains and don't have reliable access to power. Something like this would let us be able to cook food without having to worry about that! I'm getting ready to do a six month use summary, but in general, the little thing works beautifully. We use it literally every day and I'd buy it again in a heartbeat. The Sad Death of the Side-wheeler "Lang Syne"